So we all know that there are supporter groups for most major football (soccer) clubs that are located away from its domestic fronts. 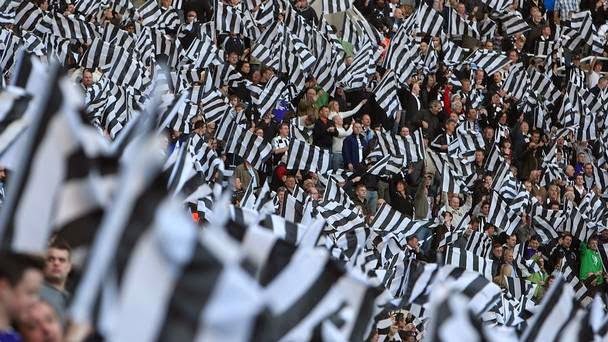 For English club Newcastle United it is no different when it comes to its North American die-hard fans, with chapters of the Toon Army well established across the United States and Canada. But what rarely happens is an opportunity where the various chapters get together and the supporters from across the continent can meet one another and enjoy a few pints while watching their beloved club take on their respective opposition. This rare occurrence is about to happen for the black and white fans of North America, and the "respective" opposition on the day will be none other than (to quote Toon Army Dallas) the soap-dodging mackems, Newcastle's neighbors and fierce rivals Sunderland. The event is set to take place on Sunday, April 4th, 2015 in New York City at the awesome Legends Bar, with many Toon fans due to arrive one or two days before prior to the meet. For more information on the event click here and join the Toon Armies from around America.